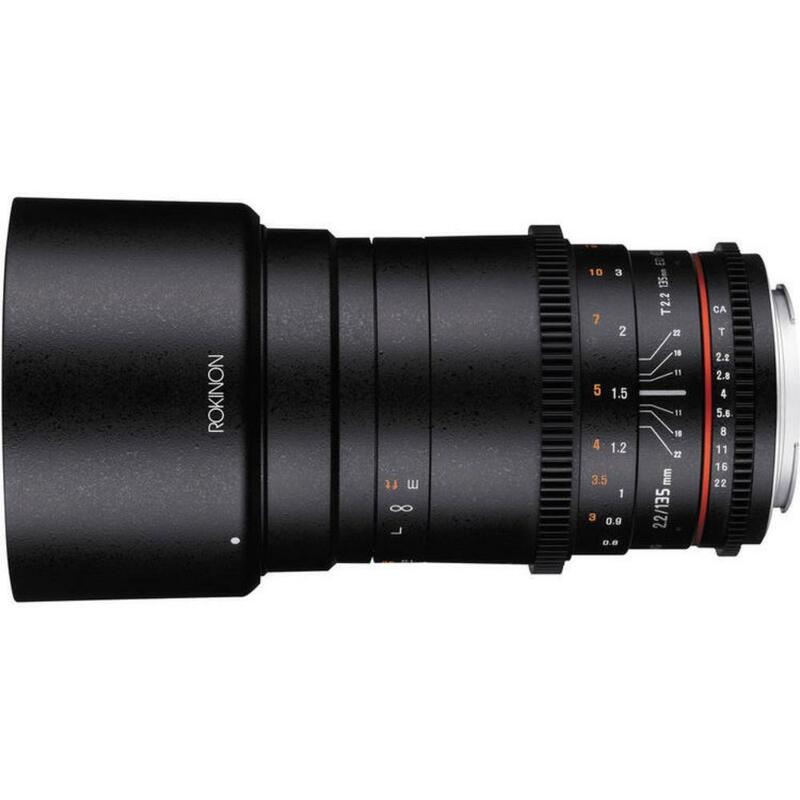 The Rokinon 135mm T2.2 DS Cine EF Mount Lens is designed specifically for video use and features industry standard gearing to be paired with a follow focus unit plus focus and aperture control rings for easier pulling. Lens breathing is minimized for a consistent angle-of-view and the entire lens is color-matched and aligned with other Rokinon cine lenses for full compatibility on set. This lens is ideal for filmmaking or for still photography applications that call for exacting manual focus. Notes: This lens is compatible with full frame cameras only. • Minimum Focusing Distance: 31"